As many of you already know, we're interested in indoor air quality and more broadly interested in the health impacts of the built environment. It's fundamentally changing the way we design, build, and specify. The materials we use have properties that can either help or harm the people that come into contact with them. So let's take a look today at a particularly nasty component of many materials: halogenated and brominated flame retardants. Flame retardants are compounds added to manufactured materials, such as plastics and textiles, and surface finishes and coatings that inhibit, suppress, or delay the production of flames to prevent the spread of fire. Many brominated retarders are organobromine compounds that have an inhibitory effect on combustion chemistry and can potentially reduce the flammability of products containing them. The brominated variety of commercialized chemical flame retardants comprise approximately 19.7% of the market. They may be mixed with the base material (additive flame retardants) or chemically bonded to it (reactive flame retardants). Brominated and chlorianted chemicals are added to products such as televisions, computers, textiles, building materials, infant car seats, and strollers, despite a lack of evidence that they actually prevent fires in current application levels. Toxic flame retardant chemicals are saturated in the foam inside our furniture. These chemicals are linked to serious health effects and are worthless in preventing furniture fires. We need better regulation of these chemicals to address this problem. So to summarize where we are - brominated flame retardants are synthetic chemicals added to consumer products to meet federal and state flammability standards and are showing up in waterways, wildlife and even human breast milk. Studies in laboratory animals and humans have linked the most scrutinized flame retardants, called polybrominated diphenyl ethers, or PBDEs, to thyroid disruption, memory and learning problems, delayed mental and physical development, lower IQ, advanced puberty and reduced fertility. Other flame retardants have been linked to cancer. At the same time, recent studies suggest that the chemicals may not effectively reduce the flammability of treated products. Structure of three industrially significant organobromine compounds. From left: ethylene bromide, bromoacetic acid, and tetrabromobisphenol-A. How Did These Toxic Chemicals Get Into Our Couches?! The Nation recently put out a fantastic investigative piece on this exact issue. Warning: it's not for the faint of heart. "While the flame-retardant business has grown explosively and with tragic consequences, the world has yet to reckon with this morally challenged industry, which started taking off more than 40 years ago. Nor has the US government held manufacturers accountable for the original evil that spawned the proliferation of flame retardants: the monumentally unsafe business of adding lead to gasoline." Yes, that's right. The emergence of bromated flame retardants in so many of our daily household goods stems from the history of the petroleum industry adding lead to gasoline. "Flame retardants have been identified not only as carcinogens, but as mutagens (i.e., agents that mutate genetic material). Many are now understood as first-class endocrine disrupters, implicated in a growing variety of learning difficulties, IQ deficits, and behavioral disorders, especially among the young, including hyperactivity and behaviors consistent with autism and, among the older set, diminished fertility, miscarriages, premature births, obesity, advanced puberty, thyroid hormonal problems in postmenopausal women, and an increased risk of ALS. Traces of flame retardants are now found virtually everywhere on earth, including in the water and dust inside our homes. According to the Chicago Tribune, the level of certain flame retardants doubled in the blood of adults every two to five years between 1970 and 2004. In a 2014 study of California day-care centers, researchers found flame retardants in 100 percent of the dust samples. A recent Chinese study revealed their presence in e-cigarettes. Remote locations aren’t safe either; the chemicals have been consistently found in the blubber of Arctic sea mammals." The effectiveness of these retardants is remarkably low considering how widely used these chemicals are given the amount of them that are typically used in almost any given product. In fact, the global consumption of flame-retardant chemicals is projected to top 7 billion pounds by 2022. In fact, those of you around to remember this will recall that back in the 1970s, manufacturers began adding flame retardants to kids’ pajamas and other consumer products to address "public concern" over the increase in household fires caused by smoldering cigarettes. If you've got a little time and want to dig into the details and complicated origins of this extremely problematic exposure almost all of us are dealing with now, please take the time to read the piece in The Nation. You won't regret it. And that public concern is becoming a hot topic as we're realizing it's not always legitimate and not always truly coming from the public. Beyond just The Nation's investigative piece, John Oliver recently did a great main story on the practice of Astroturfing. The piece is funny (full of foul language, so be warned) and alarming, particularly covering the practices of Flame Retardant companies fronting a lobbying group called Citizens For Fire Safety (which has subsequently folded and shuttered its doors since the exposé). The whole idea behind astroturfing is to gain lobbying traction by creating false "public concern" for a given issue to ensure that the companies funding the non-profit group will maintain their financial goals. Yeah... it's pretty messed up. Warning - This video is funny and informative, but uses a lot of foul language. If you're easily offended, please don't watch this video. The information on the fire retardant industry begins around minute 5:37. And while it's quite a tragic situation we find ourselves in given the sheer magnitude of the problem, there are some successful efforts to curb the problem. 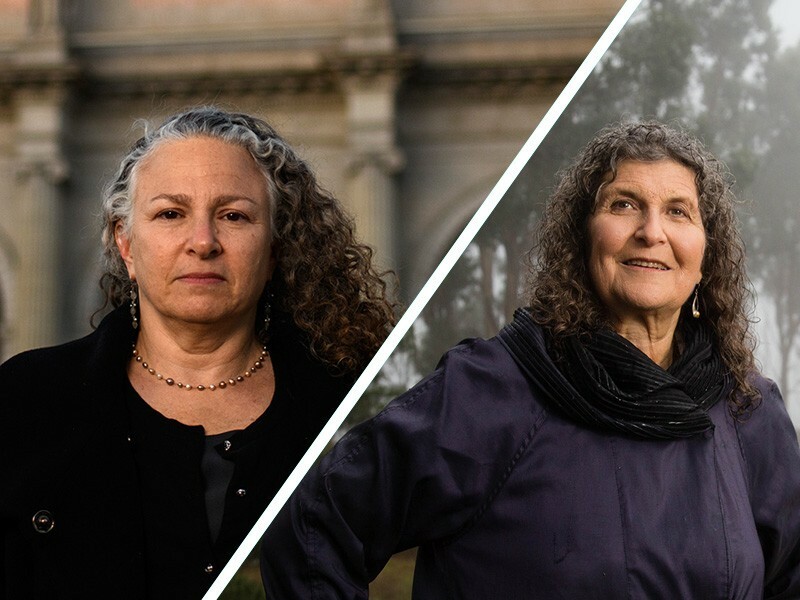 Over the course of the last six years, two women named Eve Gartner and Arlene Blum carried out a multifaceted campaign that eventually compelled federal regulators to call for banning an entire class of flame retardants. It was a monumental moment in U.S. history. Why Are We Talking About This On A Building Science Blog? Are you specifying or using materials with brominated flame retardants? If so, it's probably time to ask yourself why and whether there are other solutions you can offer your projects. Positive Energy doesn't necessarily have all the answers and we recognize that every situation is different, but we think we at least can point out the problem. We can say with certainty that there are significant indoor air quality concerns that need to be addressed in any home, especially a new build, which is why you'd benefit from hiring a mechanical designer who understands how to mitigate health risks. But there are a lot of areas that an engineer won't fully be able to anticipate - for example what you bring into your home. Sure, we can create good capture systems and ventilation systems all day and encourage you to think critically about what you bring into the home, but it ultimately comes down to the decisions you make about what you bring into the house. In general, avoid couches made before 2013. You may think "well that's easy," but not so fast. There are still a LOT of pre-2013 couches out there on the market. Furniture made before the new fire safety standard was enacted is significantly more likely to be filled with flame-retardant chemicals. Unless you know for sure that the manufacturer did not use them, it's best to avoid older furniture. Be cautious when shopping floor samples and clearance furniture, as it may be a deceptively old product made under pre-2013 guidelines. Be sure to check the TB 117-2013 label. It will tell you whether the furniture was made after the new policy went into effect. These labels are often also accompanied by a tag that will state whether or not the product contains added flame-retardant chemicals. There are many brands you'll be able to source furniture from who have decided to remove retardants from their products all together - Crate and Barrel (and its affiliates CB2 and The Land of Nod), Ikea, Ashley Furniture, Broyhill, and La-Z-Boy are just a few. You can also learn more about Kristof's 5 Rules For A Healthy Home, and place this issue in the context of delivering a healthy home. He'll be delivering a lecture on this topic for the remainder of the year in a number of venues across the country. Do yourself a favor and read up. Let's change the world together. If you're interested in more resources on chemical free materials, check out the Chemical Free Community's database. The Center For Environmental Health's website is also a great resource.